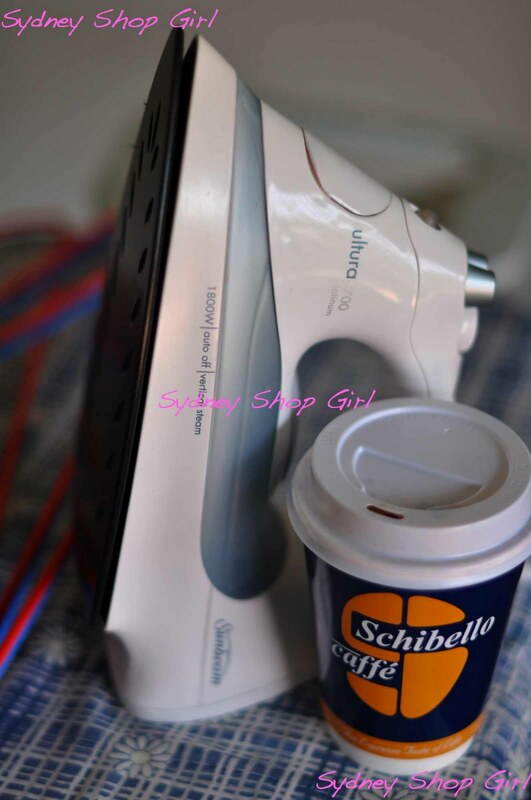 Sydney Shop Girl: The Real World Domestic Goddess App. 4 Ingredients Revisited. The Real World Domestic Goddess App. 4 Ingredients Revisited. I guess if you weren't a domestic goddess, you would have stayed at the cafe drinking your coffee and remained in denial about the ironing. I'm sure there's a clause in the Real World Domestic Goddess Manual / App about how the quality of 2 baskets of ironing can be greatly enhanced by first going down the road for a large skinny cap and bringing it home to sip between shirts as you check your Twitter feed. Speaking of which, thank you 37 lovely people who've taken the leap of faith and followed me in my first 24 hours on Twitter. I think I owe you all coffees. There was no end to my prowess with the laundry today. After the ironing, I attacked those annoying 'shoulder loops' on my running tops. Seriously. Does anyone store their gym gear on hangers? Or use the loops to tie themselves to the weights machine to make sure they stay for their whole workout? I'm genuinely curious. I know this is controversial topic to be bringing up with a discerning readership such as yourselves, but do you own a copy of 4 Ingredients and have you used a recipe from it? I got mine when I first moved to Sydney and realized that if I didn't cook for myself, no one else would do it for me. Every word on the cover promised to deliver what a novice cook like me needed at the time. I've moved on as you may have noticed, to amass a forest's worth of food magazines and celebrity cookbooks but my recent declutter saw this trusty green book rescued from the amongst the skeletons of my early cooking life. The good thing about 4 Ingredients is that the titles of the recipes usually tell you what the ingredients are. 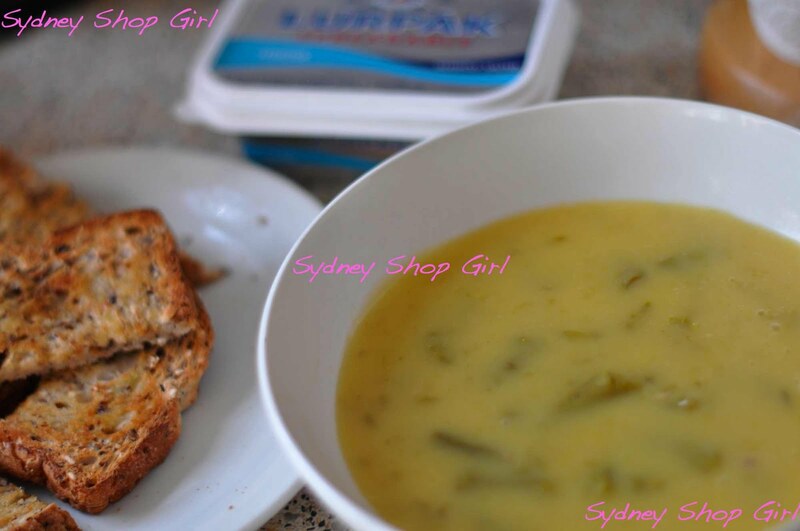 Asparagus Soup? Easy. A can of asparagus tips (much cheaper than the spears) and a can of cream of chicken soup. The method? Just combine the can of drained asparagus with the soup and a cup of water and boil. And here's my lunch. The purists would say that this wasn't cooking, more food assembly, but it didn't taste too bad and came in at $4.49 for 2 -3 serves. It's been another crazy weekend around the world, hasn't it? We started with the unfolding nightmare of the bombing and then mass shootings in Norway at the hands of one deeply disturbed man who seemed to be acting alone. Then the jubilation as Australia found in Cadel Evans our first winner of the Tour de France. News has just emerged of a horrific bullet train crash in China. The images from the crash look as if they were stills for a Hollywood action blockbuster. And then there was the news of Amy Winehouse's death. I don't think there is anything I can write that hasn't already been discussed on the world wide web. All I know of Amy is her music and that will live on because of her incredible talent. Rest in peace, Amy and thank you for sharing your voice with the world. Tee - shoulder loops for gym wear - those things are annoying aren't they, I always forget to cut those things off and then find one snaking out from the neckline or sleeve hole of whatever I'm wearing during the day. I've been glued to BBC news re: all of the above. It's definitely been a crazy weekend, and, being Norwegian and living in Norway, I think it will take some time before we recover from these horrible actions. I constantly think of all those parents who've lost a child, and it makes me so sad. God, what a week...and I didn't even know about the bullet train crash in China. But big congrats to the Aussi who won the Tour de France. I used to be a Francophile. Now I'm an Aussiophile! I often disconnect on the weekend, taking a break from the news of the world to focus on a bit of me time but the news just kept breaking through this weekend. What tragedy. On the other hand, your commitment to the ironing is inspiring. People tell me I'm crazy that I iron, but I just think a crisp freshly ironed item, be it a shirt, dress or pillowcase (or tea towel) is just nicer. There really has been some crazy news the past few days. Sadness. 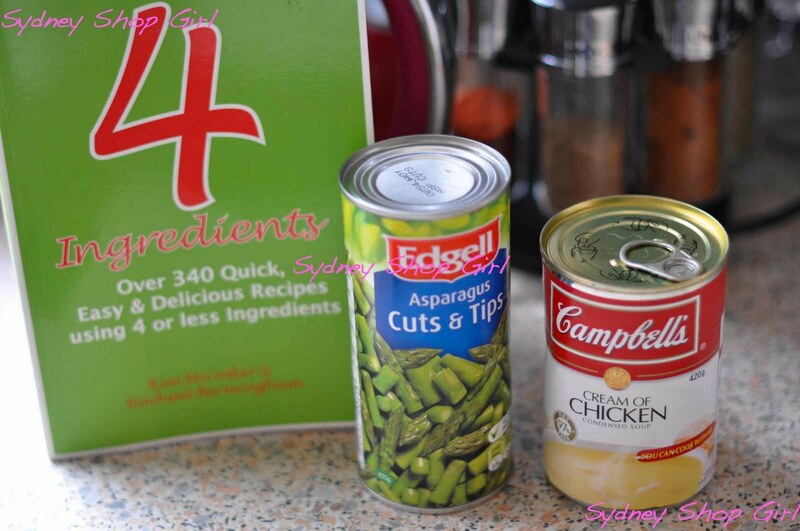 Have you seen the 4 ingredients tv show on Foxtel? It's SO bad, sososososossosososoooooooooooo bad. Don't think it's on air anymore, it was good for a laugh. 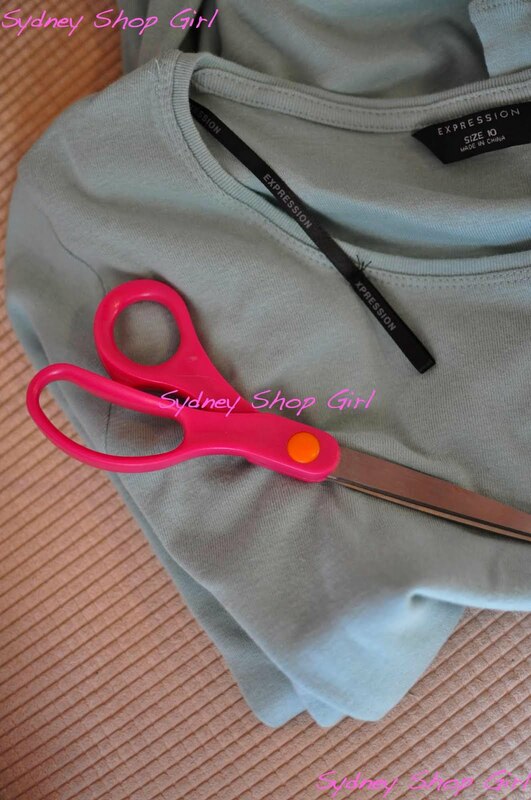 Those top loops drive me CRAY CRAY I always cut them off, how ridic!